These are the best friendship bracelet patterns and the ones you should know. As one of the hottest crafts around, everyone is looking for the newest or coolest designs. There are hundreds of these easy patterns and I’ve narrowed it down to this master list of the very best. Here they are in one location making your next bracelet project easy to find. What I’ve discovered is that its often easier to use a new, cool thread or embroidery floss than to over-complicate it with intrinsic design instructions. Don’t get me wrong, learning new weaves is fun and its why you’re here, but don’t forget that there a virtually unlimited number of different colored and textured strands that you can start with. Or add some gold chain as you’ll see in the picture later. 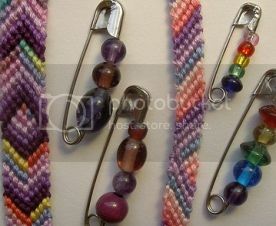 Please leave a comment and share your own favorite friendship bracelet patterns. Be Sure To Share Yours In The Comments Section. 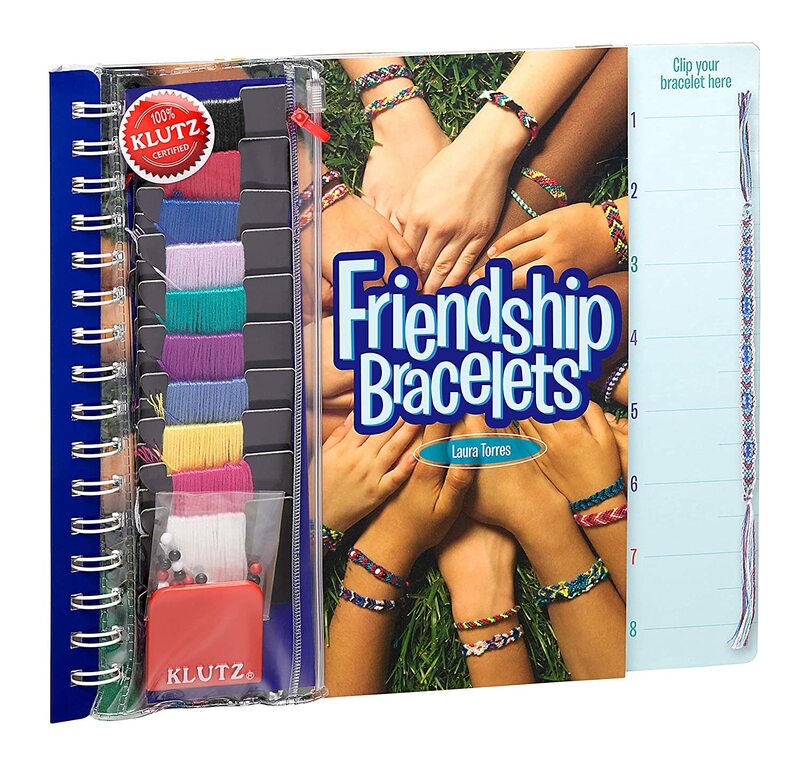 scroll down to the Friendship Bracelet Basics section first. 1 First on my list is the basic Chevron weave, simply because it’s an easy pattern to make and one everyone should know. 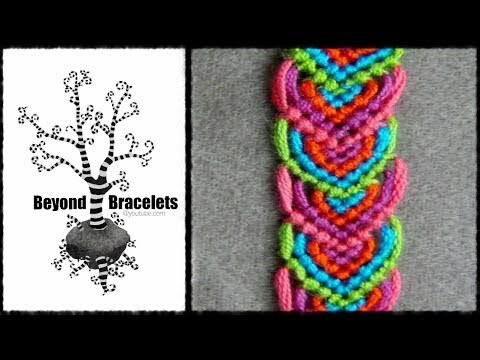 Most kids start out making these cool friendship bracelets using the Chevron or similar weave because of its simple design. 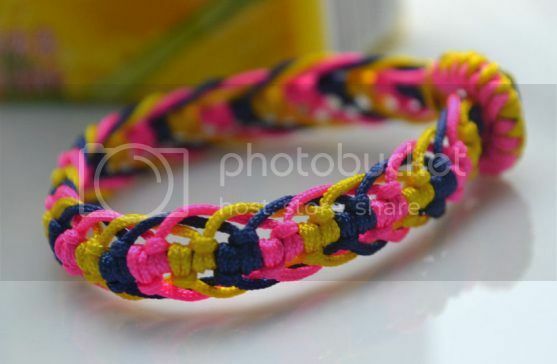 This great tutorial (below) at HonestlyWTF does a great job of making this bracelet easy to master for those who are just starting out because its clear, large pictures show you step by step how to make these really quickly. For experienced crafters this is a refresher course for the mainstay of friendship patterns. 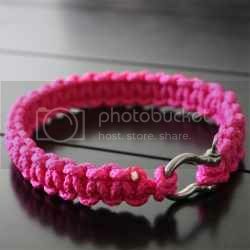 So grab some embroidery thread and practice making this popular bracelet. 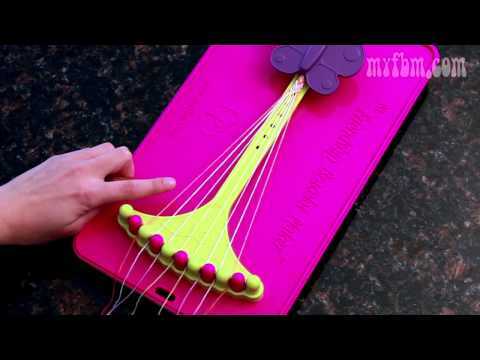 The instruction video below will help you along. 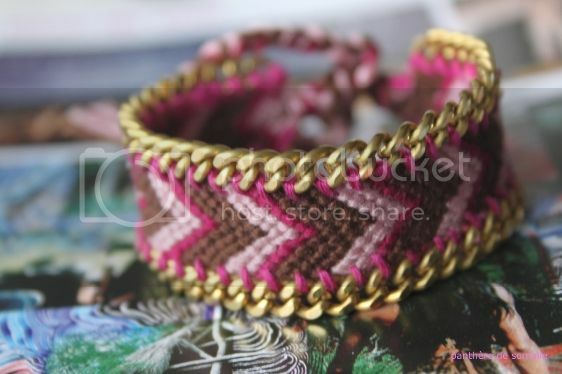 Photo instructions for making the easy Chevron Friendship Bracelet Pattern. 2 There are more complicated designs, like #4 and #5 below, but in terms of a top 5 list this one has to be included. This pattern takes Friendship Bracelets to the next level in terms of difficulty. Of course its still considered an easy pattern, but in terms of design effect its really cool looking. 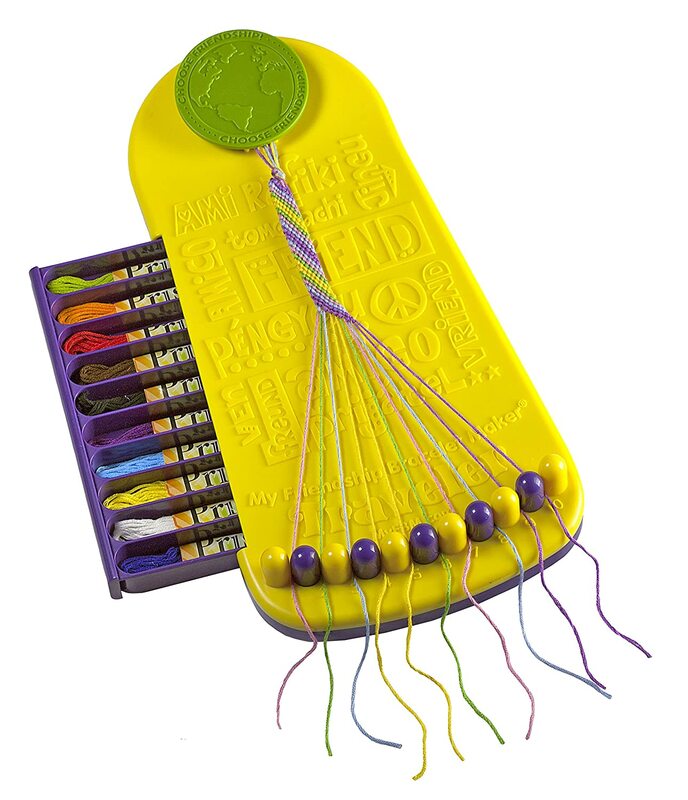 Some people like to put beads and numbers on these, reflecting the number of years they’ve been friends or to celebrate a boyfriend / girlfriend anniversary. Whatever the case this is another design that everyone should learn to master and then add to and modify it for some really nice looking bracelets. Photo instructions for making the Heart Friendship Bracelet Pattern. 3 Personalized name bracelets are way cool and are much more appreciated than any design you can create… because your friends know it was made just for them. While the weave itself is by far much easier than some of the designs you’ll make, the look is really cool. It’s a design that intimidates some people because it looks complicated and daunting. 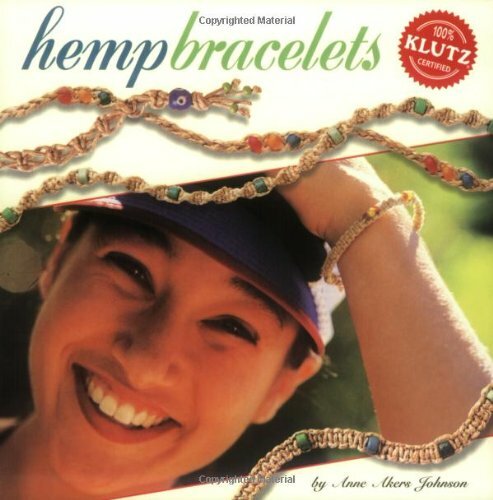 You’ll find, however, that once you’ve read the instructions and watched the video that its no more difficult than other bracelets you’ve made. Below is an awesome Name Pattern Generator to help you find the pattern for the name you want to use. There’s also a video below showing you how simple this really is. Enter the name at this site to create a Name Friendship Bracelet Pattern and then follow this Alpha/Letter patterns tutorial. Here’s another guide if you need the extra imagery. 4 The Broken Ladder design seems more complicated and involved but it isn’t. However it does allow for a lot of variation so get creative with it. With this pattern you basically are creating empty pockets within the bracelet, and depending on the particular pattern you’re following or your own creativity, these empty voids can be squared, rectangular, or even circular in appearance. In general there are a lot of similarities to the Chevron, but as you’ll see it is easy to let your own imagination make this weave your own based on how you use the Chinese Staircases. For example, you can thread a bead into the empty spaces for a modified ladder. 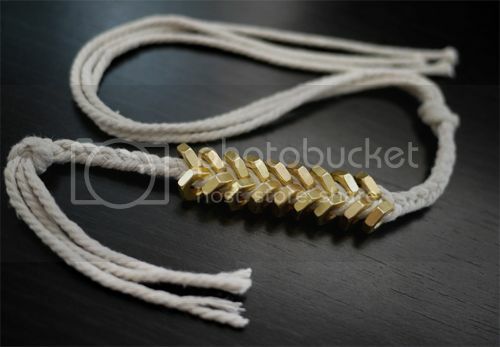 For a simple Chinese Staircase bracelet (not the broken ladder), check this out. Here are basic instructions for the Broken Ladder Pattern. The video will likely be more helpful on this design. 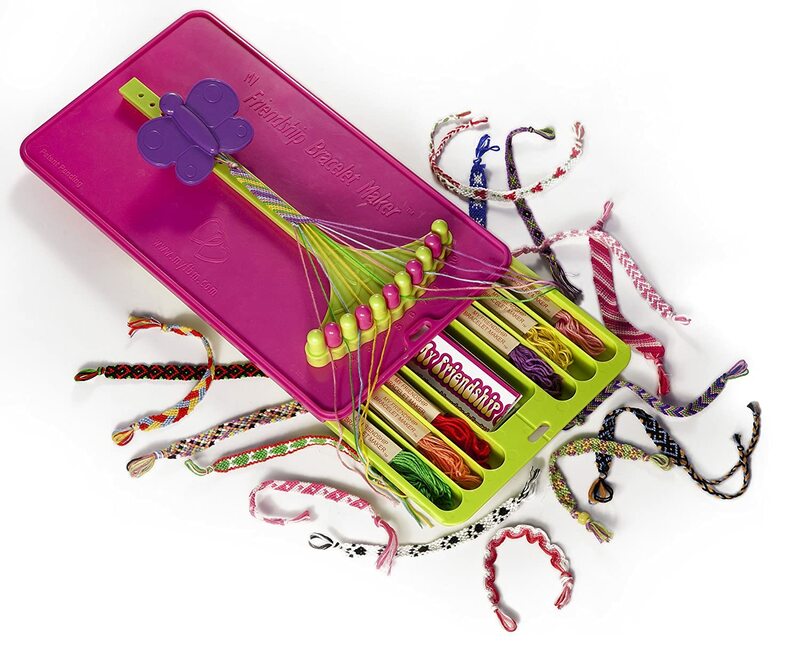 In the video you see they use the cool “My Friendship Bracelet Maker“ , which really does make creating these a lot easier. 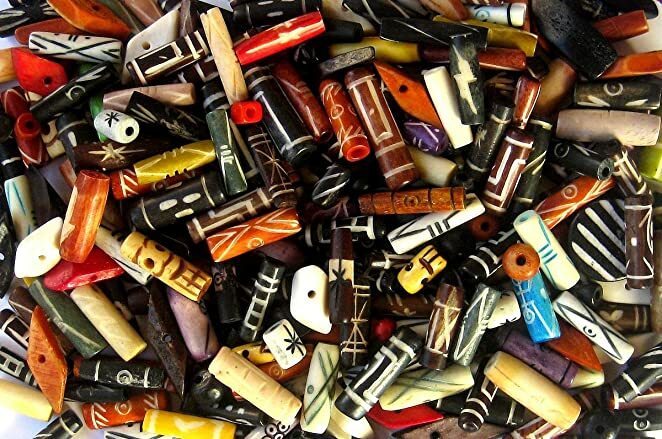 If you make very many bracelets, or plan to, its worth picking up. Broken Ladder Friendship Bracelet pattern design instructions by the Choose Friendship Co.
Get Creative With This Design And You’ll Love It, Too! 5 A Leave pattern isn’t the most difficult, but it’s beyond the same knots over and over. And it looks so cool! You’ll find that with the Leave design you can again use your creativity to make more elongated patterns, or even make an alternating pattern as shown in the video below, which I love. I think that once you’ve made these a few times you’ll agree that the patterns really stand out… and they’re fun to make. This set of instructions will help you make the Leaves Pattern very easily. 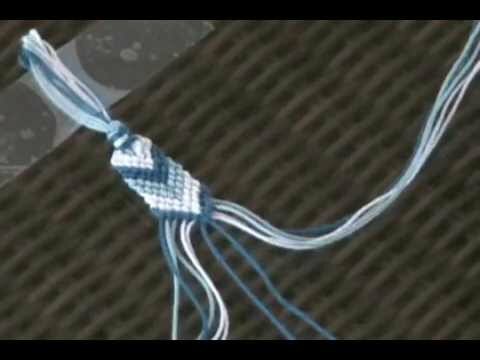 For newcomers just now learning how to make these great bracelets, you need to first learn the basics of knot tying and weaving. Once you’ve mastered the basic knots you will find that really none of the patterns you’ll use are too awfully complicated. Sure, some are more time consuming, but once you understand the art of tying the various knots there’s nothing to it. First, stop by this page below and learn how to tie the “right-hand double knot,” a “single right single left knot,” the “left-hand double knot” and the “”single left single right knot” with easy to understand diagrams, instructions and a video tutorial. 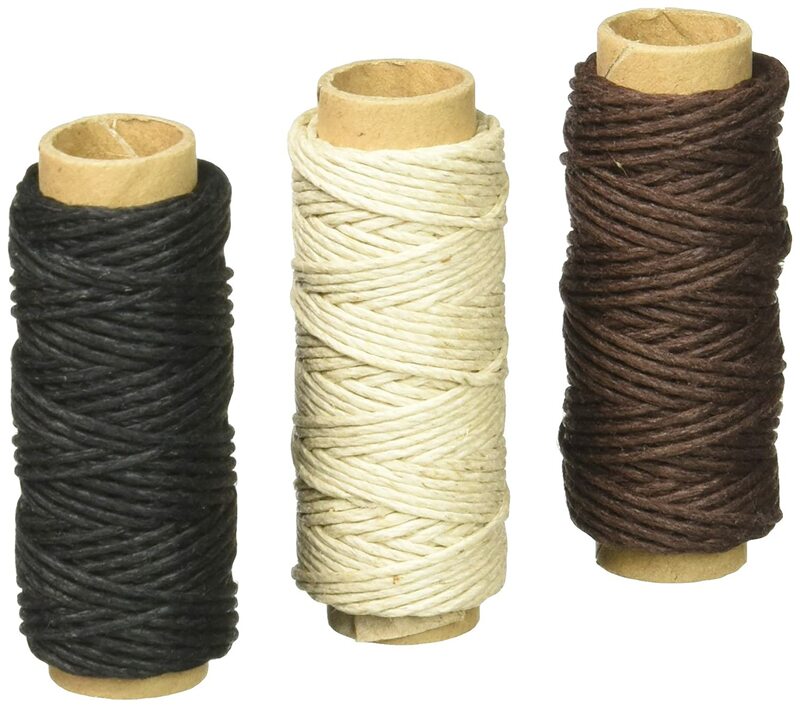 You’ll hear mention of a “skein,” (rhymes with sheen) which is the roll or bundle that embroidery floss is sold in, and it’s usually 8 meter sections (or just over 8 1/2 yards). 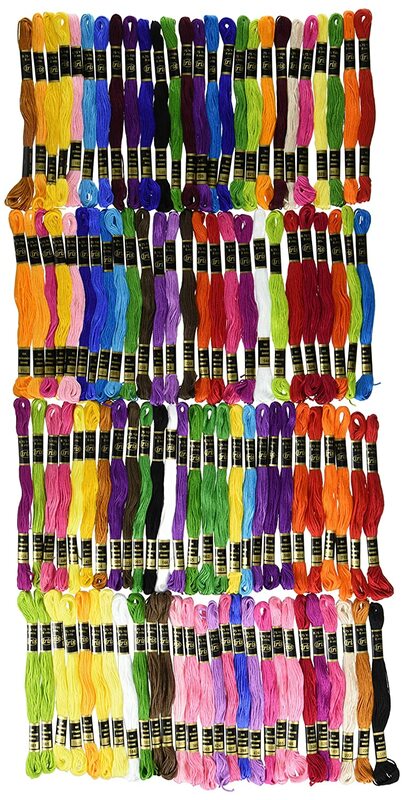 You can get around 5 strands from each skein (60 inches or so per strand), so that will help you when deciding how much floss or thread you need. If your bracelet pattern calls for 8 strands then you’ll know you need a minimum of 2 skeins. If you’re going to make a very colorful design then you will want a variety of colors, so having quite a few different colored skeins is the way to go.